If you aren't on the Sur La Table mailing list, you should be! :) I received a coupon in the mail for $10 off last week, so I took it in and got this doughnut pan for $1.14. Steal!! I also signed Grant up for the mailing list (haha!) so we'll get 2 coupons next time! :) The woman at Sur La Table said they'll be sending another coupon out before the holidays, so you can get a cheap doughnut pan too, if you sign up! 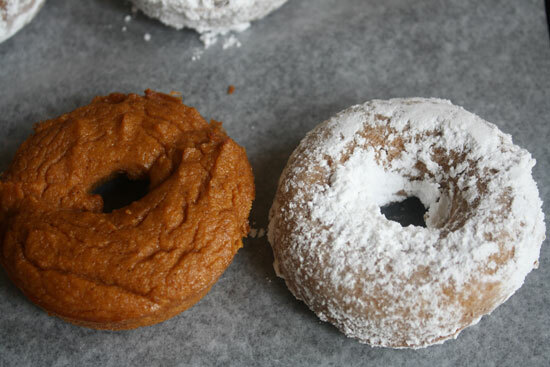 Doughnuts are one of my husband's favorite foods! We used to get the ones at the Farmer's Market all the time (on Saturdays) before we went grain free (we still do, occasionally! I mean seriously, how can you resist??). He had two tests the other week, so I decided as a treat to surprise him with doughnuts! I got this recipe from Danielle Walker's amazing blog, Against All Grain. She just came out with a cookbook last summer. It's one of the only cookbooks I feel like I would use every. single. week. I need to save up and buy it!! It's SO GOOD. If you're gluten/grain free or paleo, you would love her cookbook. 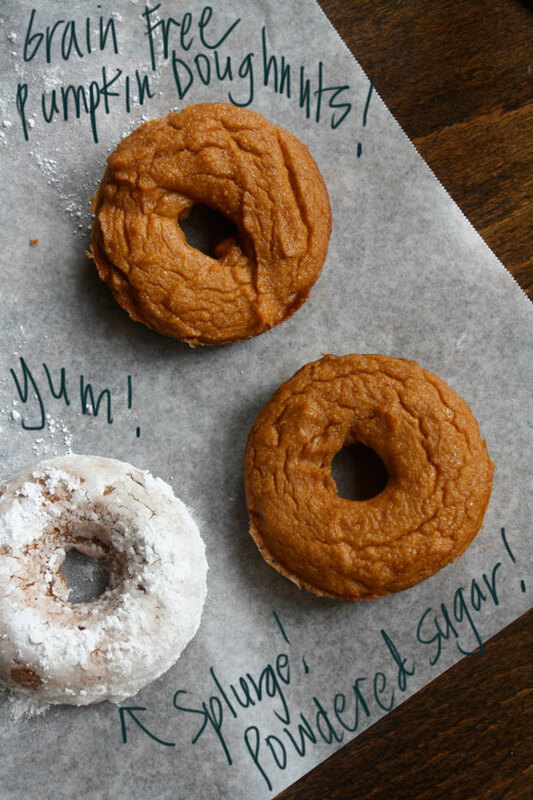 Find the recipe here--->Baked Spice Pumpkin Doughnuts. *The only change I made was using unsweetened Vanilla Almond Milk instead of coconut milk because we were out. They were still really delicious. In her recipe she says to "pour" the batter into the mold. I found that my batter was pretty thick and not really a pouring consistency. I ended up putting it into a ziplock bag and pipping it into the pan. It worked really well. 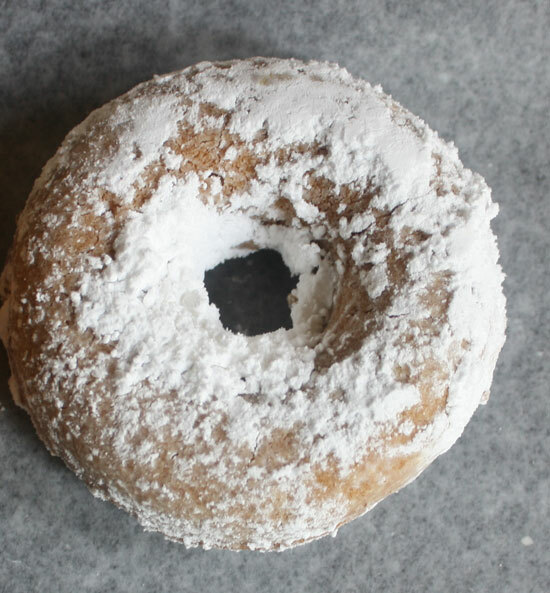 Ohhh the sugar, the powdered sugar!